The American Health Council is proud to honor R. Clement Darling III, MD as “America’s Best Doctor” for his outstanding contributions to the medical field. As the president and chief of vascular surgery at The Vascular Group in Albany, N.Y., Dr. Darling ensures that daily operations in the practice run smoothly. While he has spent more than 14 years in his current role, Dr. Darling has spent nearly 27 years in the healthcare field, expanding his knowledge in general surgery, vascular surgery, vascular disease and administration. 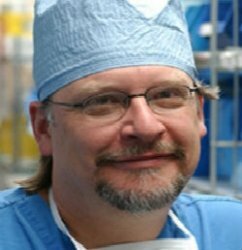 Dr. Darling’s path toward securing a position in vascular surgery stemmed from his interest in transplants. After earning a bachelor’s degree from Trinity College in 1978, he enrolled at the University of Cincinnati Medical Collegewhere he earned a medical degree in 1984. He immediately began a residency at Harvard/Deaconess, first as an assistant residency and later a chief residency. After completing the program in 1988, he began a vascular fellowship at the Albany Medical Center and finished that program in 1991. Board-certified in general surgery in 1991 (recertified in 1999) and vascular surgery in 1995 (recertified in 2002) by the American Board of Surgery, Dr. Darling eventually landed at The Vascular Group where he administers care to patients each day. He assumes an administrative role, and oversees The Vascular Group, one of the largest vascular care networks in the country, encompassing over 15 hospitals and 21 vascular groups, according to the practice’s website. He was certified by the National Board of Medical Examiners in 1985, Surgical Critical Care in 1995 and Advanced Cardiac Life Support in 2008. His fruitful career has produced several accolades, including being named as one of America’s Top Doctors by the Hudson Valley. To ensure that he remains connected with peers, Dr. Darling is a member of several professional associations, including the American College of Surgeons and the Vascular Educational Endowment Fund. Among his many accomplishments, he is most proud to have written 190 papers and 105 book chapters. He has also spoken at international events throughout his career, and has shared his knowledge with peers and rising vascular and general surgeons. He is also very proud to have been elected as president of the Society of Vascular Surgery in 2016. In his free time, he maintains an active lifestyle by skiing, playing tennis and traveling. Dr. Darling attributes his success to his strong work ethic and a positive and solid organization within his network. He plans to maintain that success by continuing building a strong team that is comprised of strong nurses and technicians. The Vascular Group consists of a group of 19 vascular surgeons based out of Upstate New York. Its mission is to advance vascular health by delivering the highest level of vascular care, education and research. Its local presence gives patients access to its incredible team of over 150 health professionals, specifically trained and ready to care for your vascular health.